Doctor Who spinoff stories (like Torchwood) are always tricky, because whatever threat the main characters are dealing with has to be dramatic enough to make the story interesting, but not so dramatic that the audience can’t help but wonder why the Doctor himself isn’t dealing with it. Based on what we see in the show, it could be argued that either the Doctor has so much faith in his friends that he trusts them to solve their problems on their own, or he’s just a self-centered jerk who cares more about his own adventures than being a proper hero. Either way, try not to let that drag down your enjoyment of K9: TimeQuake, an all-new Doctor Who spinoff movie starring the Time Lord’s furriest companion—well, not furriest, but certainly most dog-like. According to Doctor Who News, the film will be “a great action adventure set in deep space” and it’ll involve the Doctor’s robot puppy meeting up with “dashing heroes and heroines, androids, monstrous aliens,” and an old Doctor Who villain who predates the show’s revival: Omega. The film is being written by K9 co-creator Bob Baker, and it’s set to be released in 2017. 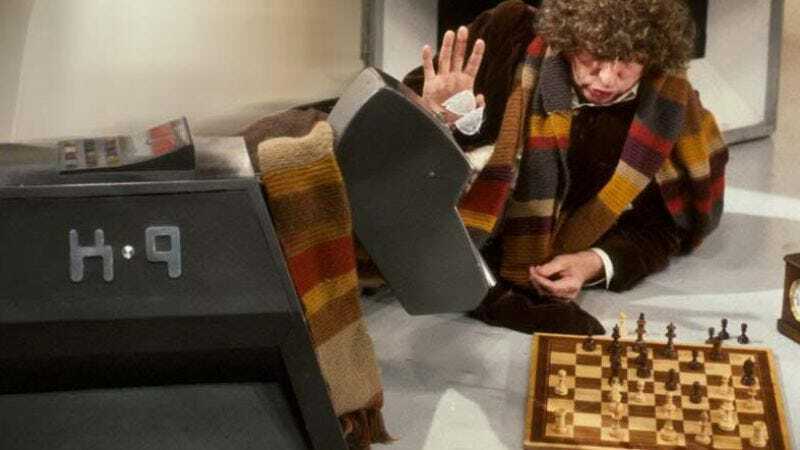 K9 was first introduced in the 1977 Doctor Who story “The Invisible Enemy,” and it later appeared on the Sarah Jane Adventures spinoff and its own computer-animated kids show. You can see a photo of the new and badass K9 below.